Traffic, public transit, congestion, road construction and closures, I-35, MoPac, US 290, US 183, Ben White Blvd, and policy and planning issues related to transportation and mobility in Austin and the Central Texas counties of Travis, Hays, Caldwell, Bastrop and Williamson. At least one person has died on Texas roads every day since Nov. 7, 2000. Despite efforts to “End the Streak,” as the Texas Department of Transportation puts it, the state still leads the nation in traffic deaths. Fatalities did fall about 2% between 2016 and 2017, but more than 3,700 people died in 2017. Capital Metro took a step Monday toward electrifying its bus fleet with the announcement of the location of a new bus-charging facility under construction in North Austin. The Austin Transportation Department will roll out bus- and bike-minded improvements on Lavaca and Guadalupe streets, with construction starting next month. Austin City Council Gave A Green Light To The Strategic Mobility Plan. Here's What That Means. The Austin City Council has adopted a long-term transportation plan – its first since 1995. It's a 337-page document, so there's a lot to unpack. The Austin Strategic Mobility Plan is meant to cement how Austin's streets are designed and how both cars and buses and pedestrians (and scooters and maybe automated cars) occupy them. The Idea To Bury I-35 Has Risen From The Dead. "Cut and cap" – the idea of burying I-35 in the downtown corridor and paving over that chasm to create greenspaces or mixed-use development – is no longer in the rearview mirror. Rentable scooter riders on the 40 Acres will now no longer be able to ride faster than 8 mph, according to UT Austin. The university said Bird, Jump, Lyft and Lime's e-scooters will have speed restrictions on the lion's share of UT's campus starting tomorrow. The decision comes at the suggestion of a campus safety group and was done in cooperation with the providers, UT said. Note: This story includes raw data from the Austin Transportation Department. Official data would not have included trips of under a 10th of a mile or over 500 miles. Dockless scooters were the headliner in their first year at SXSW. City data show the scooters outpaced rentable dockless bikes over the festival, accounting for nearly 434,000 rides over the 10 days of SXSW – 12.3 percent of the 3.5 million scooter rides since the scooters descended upon Austin last April. Three Racers. Three Modes Of Transportation. Who Will Beat The SXSW Traffic? Everyone knows traffic in Austin is bad, and it’s hard to find worse traffic than downtown during South by Southwest. So if you’re going downtown, what’s the best way to get around? KUT asked three people to find out in a race through the thick of the festival. Drivers spent more time in traffic in Austin than in any other Texas city, according to new research from transportation data firm INRIX. Austin ranked 14th overall in INRIX's yearly traffic analysis of the most congested cities in the U.S. and 84th in its worldwide rankings. 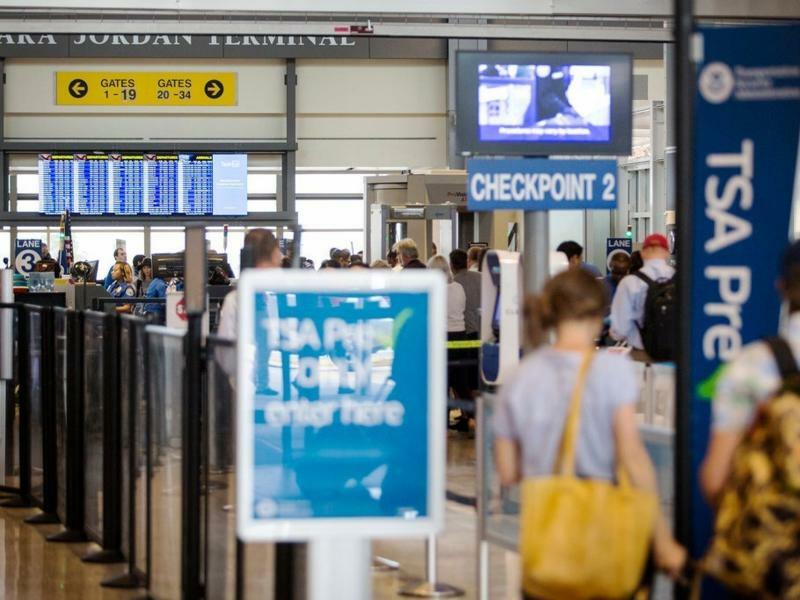 Travelers flying out of Austin-Bergstrom International Airport tried to bring 93 guns onto flights in 2018, according to the Transportation Security Administration's annual tally. A crash last week killed a 21-year-old scooter rider, the Austin Police Department says. The department says it's the first death related to a rented scooter in Austin. After years of declines in ridership, Capital Metro's ridership increased in 2018. The boost comes in a year that saw the transit operator's largest overhaul of its bus system, known as Cap Remap, which affected more than half its lines. Overall, Cap Metro's ridership went up 5.4 percent in December 2018 compared to the previous year, with its largest individual ridership gains on its MetroRapid lines, 801 and 803. Like a mirage on a sun-beaten West Texas highway, the future of autonomous vehicles in Texas isn't altogether clear. A new state effort hopes to remedy that. Sixty-two-year-old Joe Paschall was walking near Burnet Road and Koenig Lane last November when he almost tripped over a dockless scooter. “I was able to catch myself, but I had no idea that it was there," he said. Why Is MoPac Traffic So Much Worse Southbound In The Afternoon Than Northbound In The Morning? 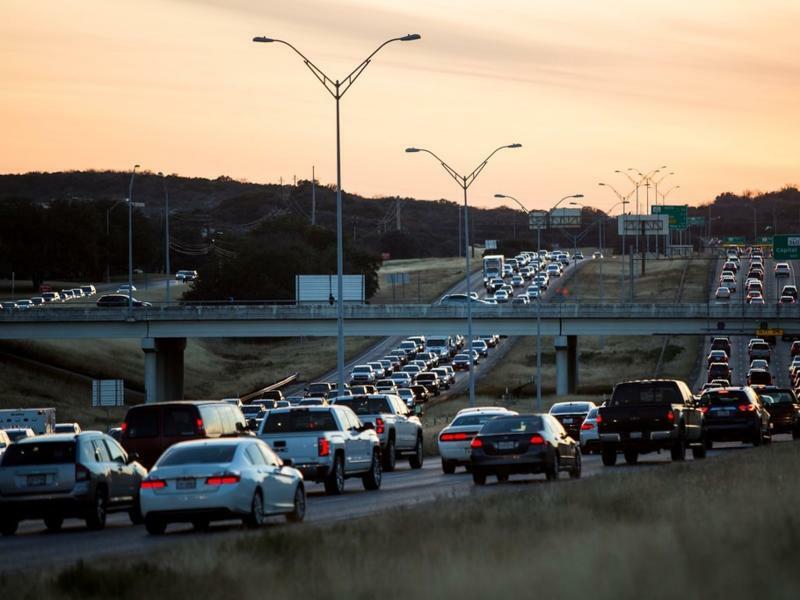 Every weekday, hundreds of thousands of commuters flood Austin-area roads and highways with more traffic than they’re designed to handle. Some commutes are worse than others, depending on the time and where a driver is heading. Another dockless scooter company plans to enter the market in Austin – but its users will get to sit down. OjO Electric, LLC, a California-based company, is launching the first sit-down electric scooter rideshare in the capital. One hundred scooters are expected to hit city streets by Feb. 1 and grow to 250 later in the spring. Joe Cardillo was riding a Lime scooter home from work last month when it just stopped and he fell off. "I landed on my knees and kind of fell forward and scraped up my hands," the 24-year-old East Austin resident said. "Then [I] kind of rolled and then fell into the street on Riverside." In Austin, and elsewhere, 2018 was the year of the scooter. Love them or hate them, they're all over the city's streets (and sidewalks) and they're here to stay – at least for now. Now, a snapshot from the city gives more insight into where users rode scooters in 2018. In a 6-0 vote, Austin's transit agency advanced its vision for getting a rapidly growing population around town as fast and easy as possible. But there are several more hoops for the Project Connect plan to jump through before you'll actually see it go into effect. The city says it's working with the Centers for Disease Control and Prevention to study dockless scooter-related injuries and incidents in Austin – a first for the nation's public health institute. Austin is ordering dockless scooter operator Lime to pull 1,000 scooters from its fleet after the city alleges Lime violated its agreement with the city. A memo from the Austin Transportation Department says it ordered Lime to cut its 5,000-scooter fleet by a fifth on Tuesday. ATD Director Rob Spillar said Lime violated the terms of the city's agreement by rolling out more than 500 scooters in the downtown area. Austin trail-goers may encounter more electric scooters starting next month. The Austin Parks and Recreation Department is launching a pilot program that will allow the e-scooters and e-bikes to ride on certain trails to better determine how riders can share trails with runners and cyclists in the future. The ride-hailing company Uber launched its new JUMP e-scooters in Austin today. Uber's JUMP e-bikes have been in Austin since the summer, but now the company is getting in on the city’s growing scooter culture. Uber plans to initially drop a few hundred of the scooters across the city. They can be found and reserved through the Uber app. The number of partnerships between public transit agencies and private ridesharing companies like Uber has been booming. Since 2016, at least 27 such programs have sprung up across the country, including one in Central Austin. Researchers at the University of Texas' Cockrell School of Engineering have been tapped to help propel Uber "air taxis" into the sky. UberAIR – the ride-hailing company's proposed urban aviation program – is set to launch flight demonstrations in Dallas and Los Angeles by 2020. The service is scheduled to be commercially available to riders by 2023. Local money alone is not enough to improve public transit and ease traffic congestion in the region, Capital Metro CEO Randy Clarke said at a board of directors meeting Monday. For years, the region’s transit agency has been working to develop Project Connect, a plan to build a transit network that can move more people faster. Austin City Council members joined the Cap Metro board to explore how to pay for it. Another Downtown Austin Street Goes Two-Way. Studies Tell Us That’s Good. For 68 years, drivers on Colorado Street in downtown Austin could go only one way: south. But as of today, that one-directional road officially goes two ways for cars. It’s the hip thing to do. Texas’ Hyperloop dreams are no longer confined to a pipe. Officials in North Texas plan on putting some money behind an environmental impact study of a 700-mph train between Dallas, Fort Worth and Arlington. That project, ideally, would later expand to a network that would include Austin, as well. Capital Metro recently ended a pilot program that would improve the way blind people use the bus system. It involves an app that uses voiceover technology to give people real-time transportation information while guiding them step-by-step to the nearest bus stop.